Spids Logistics Nigeria Limited is a logistics company with more than 5 years experience in the supply chain management business. The company formerly with Arklek Logistics was created on March 26th 2010 to provide logistics services at its peak. From start to finish, our reputable team is aligned with your goals and challenges to achieve turnkey solutions for projects of any scale. SPIDS stands for operations excellence. We have a dynamic operating culture and empower front line employees to anticipate customer issues and needs. Our logistics solutions are based on an in-depth understanding of our customers” business, based on the expertise of the sectors in which we work. We are easy to work with: open, honest, responsive and providing quick access to senior decision makers. While every supply chain is distinct, at Spids, they are all born from the same collaborative process. 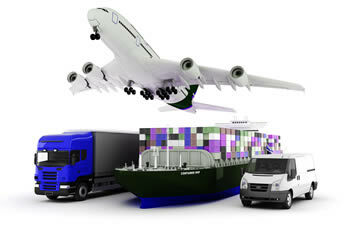 Spids Logistics Concept is a systematic approach toward conceiving and executing customized solutions. Supported by our competence in warehousing, distribution and technological capabilities, our logistics professionals never stop advising, optimizing and searching for new efficiencies for your unique logistics needs. The accountability, competency and ease that come with having Spids as your single, dedicated logistics partner allows you to maintain priorities and focus on your business. We are performance driven – we judge ourselves and others on results, and how they are achieved. We set a high bar for achievement and are driven by a spirit of constructive dissatisfaction. Our strategy and service philosophy offers flexibility, trust and collaboration with our clients. We provide creative and technology-forward logistics solutions to the food and beverage, consumer packaged goods, industrial / automotive, life sciences and healthcare, retail, consumer electronics and commercial durable goods industries. We believe in total customer satisfaction and exceeding expectations, which leads to on-time deliveries, solving complex logistics and customs scenarios and reducing your logistics costs. Our broad reach and proven expertise give us the power to deliver smart logistics and transportation solutions around the globe. When you go with SPIDS, you quickly realize you”ve made the right decision. The relationships we develop with our clients are built on trust and mutual respect, with open, honest. Our consulting and planning process begins with our team of logistics expert studying your business, listening to your concerns and understanding your challenges. Through analytical models of supply chain operations, determination of performance metrics and expert-to-expert discussions by our team we evaluate your business and identify opportunities for improvement. Based on our in-dept understanding and our thorough analysis of your peculiar logistics needs, we work together with your people to develop new ideas and strategies, design comprehensive solutions and establish meaningful supply chain metrics. By identifying facility locations, selecting modes of transportation and advising sourcing decisions our team of experts select all necessary resources, as well as manage your entire supply chain. Following from beginning to end, Spids logistics solutions expert execute your customized supply chain tailored to meet your unique logistic challenges making sure cost savings and efficiency is delivered. We measure and report on your supply chain’s performance to ensure compliance with service level agreements and identify other possible areas for ongoing developments. To continually stay at the cutting edge of our business by equipping ourselves with global best practices of the logistics industry ensuring that our clients needs are cost efficiently and competitively. SPIDS LOGISTICS LTD © 2016 All Rights Reserved.